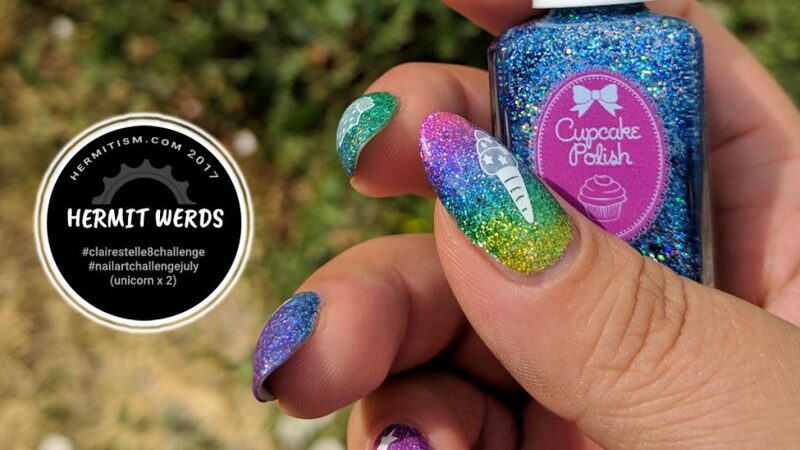 Well, I caved and purchased the entire set of Cupcake Polish’s jelly & holo glitter Candy Land collection . It’s been out long enough that she’s no longer selling the set, but I’ve used everything but the strawberry red “Lord Licorice”. I just had to do me some holographic glitter rainbows. 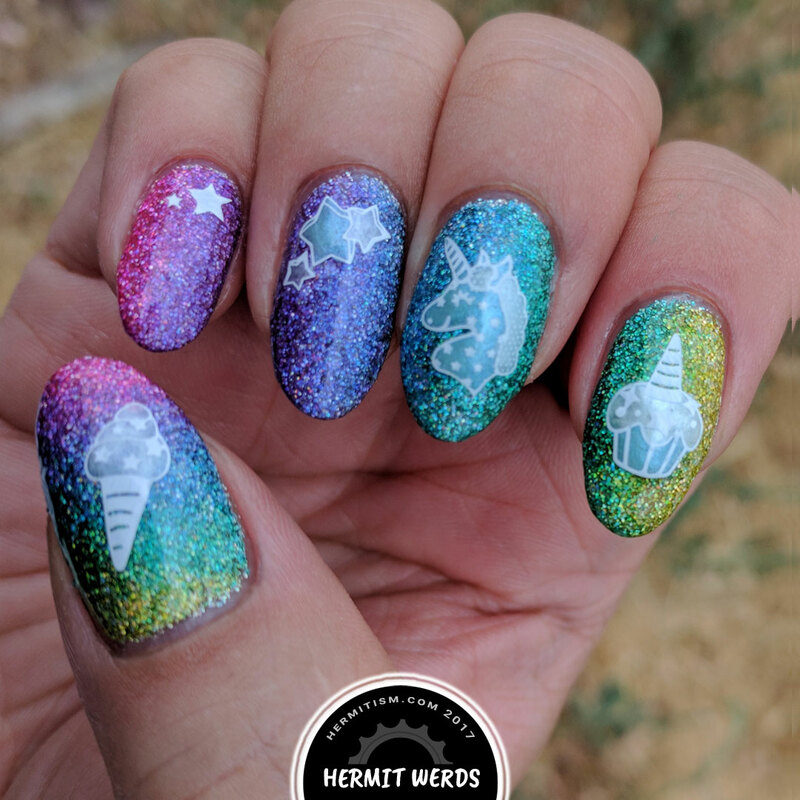 And conveniently #clairestelle8challenge and #nailartchallengejuly both had the prompt “unicorn” within days of each other. 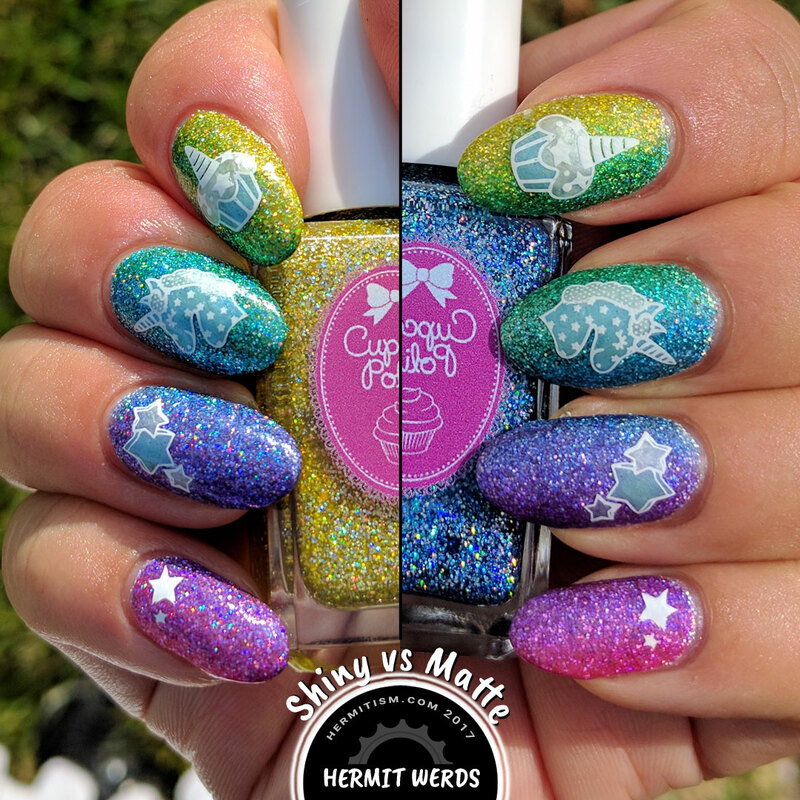 Haranouta’s unicorn plate was next and I picked stars and unicorn food as my theme. edit: Voting on shiny vs. matte finish closed. Two votes for shiny. Zero votes for matte. These are so gorgeous! 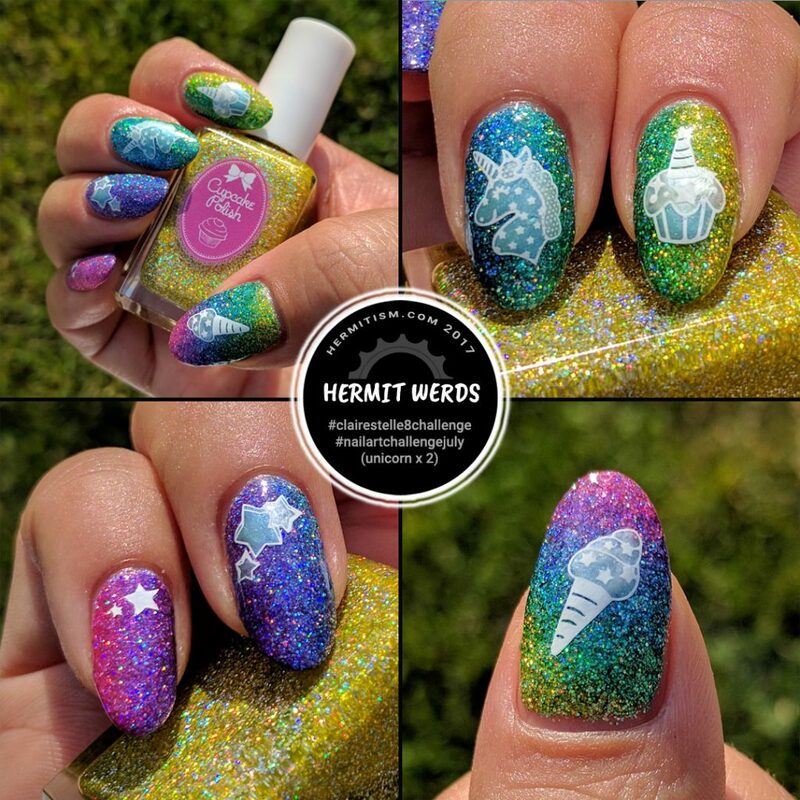 I absolutely love your rainbow glitter gradient- so magical and perfect for a unicorn theme!